With his unwavering focus on universal prekindergarten, Bill de Blasio may well be vying for the title of "educational access" mayor. 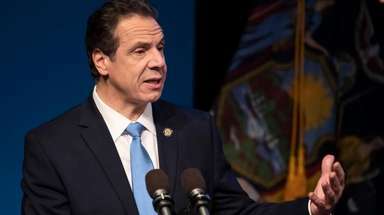 Yet for all his emphasis on early childhood issues, he remains remarkably silent about a simple act that would dramatically increase higher education access in New York City: Increasing the number of application-fee waivers available for students applying to the City University of New York. CUNY should be the city's crown jewel when it comes to educational access: 17 separate colleges offering everything from professional certificates to doctoral degrees at tuition costs so low that the majority of its students don't need student loans. But unlike most large universities, CUNY lacks a policy on waiving application fees for financial reasons. The University of California, for example, waives application fees for up to four campuses for any student demonstrating financial need. Instead, CUNY gives New York City public high schools a limited number of waivers to distribute to students on a first-come, first-served basis. Most high schools can distribute waivers to only a fraction of the students who need financial help. Outside organizations like the College Board also provide application fee waivers. The board just increased the number of waivers it offers per student from two to four -- but CUNY doesn't accept them. CUNY's application fee of $65 might not seem like a lot, but it can constitute a major financial barrier for families living near poverty. The New York City Department of Education estimates that 6,600 low-income students who would otherwise apply to CUNY don't because they cannot afford it. What can de Blasio do? First, put pressure on CUNY to waive the fee for students at set income levels. Second, pressure CUNY to accept the College Board waivers. Third, have the city itself step up and fund more need-based fee waivers. In a city where the average low-income student is lucky to receive eight hours total of college and career counseling through high school, removing a $65 obstacle to accessing the city's public university system seems like an obvious choice for an "educational access" mayor.